Hey there! We understand how challenging it can be to decide on a Martial Arts School, there are so many to choose from, which is why we created this informative guide giving you the details you’ll need to pick the best option for your child. Then sit back, relax, and watch them succeed! If your child has expressed an interest in learning martial arts, then the first thing you need to do is find a great martial arts school. There are many schools in the Santa Monica area which may meet your needs, but there are plenty of details to consider before making a decision. Martial arts classes will help your child meet these goals, but you will need to select a style of martial arts for them to practice. There are hundreds of martial arts forms around the world, of which many are very advanced and studied by adults. However, the most effective, popular, and enjoyable styles for kids are Karate and Taekwondo. As your child advances in his/her martial arts practice and is well into their teenage years, they may begin learning about other forms of martial arts, but for now we recommend learning about, and deciding between Karate and Taekwondo. We advise parents to look for martial arts schools that stick to the original concepts of the style it teaches. The more basic the instruction, the more your child will learn about that style. It is also important to understand the goals and values of schools you are looking at. At King's ATA Celebrity Martial Arts, we teach the same values you teach at home! As mentioned above, we recommend children focusing on either Karate or Taekwondo, here are more details to help with your decision. Karate – Originating in Japan, this martial art teaches self-defense using punches, strikes, and kicks. There are several sub-styles of karate like Shotokan, Budokan, and Kenpo karate. Most martial arts schools in the United States teach “American” karate, which is a combination of several karate styles. Taekwondo – Is a form of self-defense using kicks, punches, strikes and blocks. Breathing and meditation techniques are often taught to improve students’ focus. When Should Children Start Martial Arts? Some martial arts schools teach children as young as four, but many experts consider six to be a good age to start learning most disciplines. At age six, their balance and coordination are better, so they can learn the proper techniques for punching, kicking and turning safely. Other forms of martial arts have age limitations to begin studying which is another reason Karate and Taekwondo are best for kids. Do you like the instruction your child is receiving at the school? Does your son/daughter enjoy going to classes? What is your favorite part about the martial arts school? Remember, if your child doesn’t truly enjoy what they are doing in class they won’t get the maximum benefits, which is why it’s so important to do your research and choose the school that is the best fit. We also suggest taking a look at the schools’ websites you find online during your searches. A martial arts schools website will typically tell you about the styles they teach, ages they teach, hours of operation, instructor bio’s and sometimes testimonials from students and their parents. You may also find a great trial offer deal to save you some money when you enroll your son/daughter. 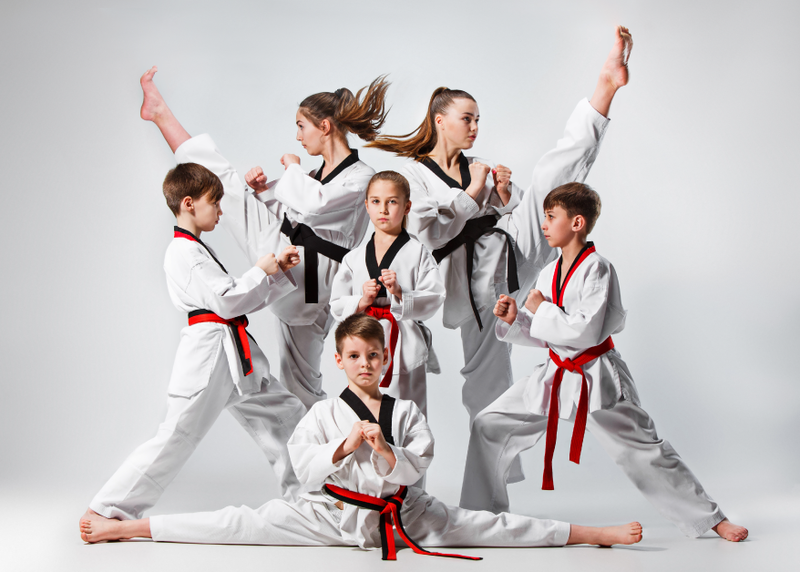 For example, at King's ATA Celebrity Martial Arts right now you can purchase 3 classes for only $17.95 AND they include a uniform which your child will need too! When you’re searching for Martial Arts Classes In Santa Monica, use both “martial arts schools” and “martial arts classes” in the search box. Although there will be a lot of overlap when the results page appears, there will be some differences as well that might be a good fit for your son/daughter. After doing your research and checking out schools’ websites, make a list of schools or classes in a convenient location for you, then call the schools you’ve found to set up an appointment to meet the owners and instructors if the owners don't teach classes themselves. It’s important to make an appointment instead of stopping in for your first visit to ensure the owners or main instructor is available to answer questions. If you just stop by, the owner may not be there, and instructors may be busy with their students. During your scheduled visit, If you like the answers you’re given, ask to sit in on a class so you can observe how the students are taught. How the children are treated and taught may help you narrow down some of the martial arts classes you’re evaluating for your child. During your visit notice if the school is living up to their mission that you may have seen on their website. For example, at King's ATA Celebrity Martial Arts we believe it is very important to teach our students much more than merely the physical aspects of martial arts. We teach our students to foster the emotions that will empower them to better confront the many challenges they will encounter in life. During your visit, carefully observe everything in the reception area, the classrooms, and the shop (if there is one). It should be clean and organized, the equipment should be in good shape and plentiful to keep the children they teach safe, and the staff should have positive attitudes and engage with both clients and visitors. The equipment in classrooms is there to protect students, so there should also be padding on the floor to protect kids when they practice falls.